More than 1 in 6 students in the U.S. do not reach the baseline level of proficiency in financial literacy. Nearly 1/4 of millennials spend more than they earn. 67% of Gen Y have less than 3 months’ worth of emergency funds. The curriculum is divided into eight units that cover topics from Being Financially Responsible to Growing and Protecting Your Finances. Each lesson is aligned to standards from the Council for Economic Education. Lessons are laid out with learning objectives, key terms, and handouts for the students. This makes the lessons easy to select and align to state requirements for financial literacy. Another great feature of these lessons is that some feature a separate “Family Connection” activity to reinforce the topics learned in school outside of the classroom. These connections make the possibilities of extending the lessons endless! Students are challenged to have discussions with their family members to learn more about the topic explored in the classroom. 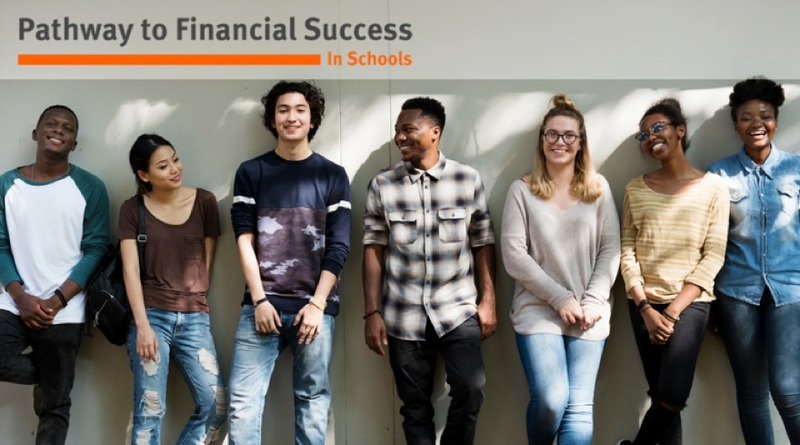 This helps expand the students’ knowledge to peripheral subject areas, generational differences, and helps them develop a deeper understanding of the financial literacy topics, opening the door for further discussions. One of my favorite sets of conversation starters goes along with the lesson on Comparing Job Offers. Students are tasked with discussing first job offers and evolving careers with their family members. Overall, the curriculum from the Pathway to Financial Success in Schools program is effortless. Each lesson is self-contained and could be added into a growing financial literacy program, or substituted for another lesson within an existing program.